One of the fascinating dichotomies of healthy eating is the pressure from nutritionists to eat more Omega-3 fatty acids, preferably from fish sources, combined with the concerns about toxic levels of mercury and pollution related to fish farming. The bigger the fish, the more likely it is to be dangerous for you due to its pollutants. Shark, swordfish, and tuna all have the potential to raise mercury to dangerous levels if they’re consumed regularly. If you want to improve your Omega-3 levels through fish, but want to avoid the concerns around big fish, sardines are the answer. Much less expensive than an equivalent serving of other popular fish, these tiny little canned fish are a great source of Omega-3s with a minimum of the mercury and pollution that are present in other fish sources. This is how I decided on my very favorite brand of canned sardines. In my quest for the very best canned sardines, I have tried a huge number of brands. I’ve listed my reviews of some of the ones I’ve tried below. If you look up, you will see a chart showing some key benefits of each brand, and a link to current Amazon pricing. Many of us tried one brand of canned sardines, found them disgusting, and never went back. Well I’m here to tell you that there are canned sardines out there which are delicious. Mild, packed in oil, and firm in texture, good sardines are absolutely delicious. When I went looking for the best canned sardines, these are the factors I considered. We often think of sardines as a specific breed of fish, but in fact there are several kinds of fish that get sold as sardines. What specific fish is in your sardine can has to do with the region in which it was caught. The most common types are herring, bristling, pilchard, sprat, and iwashi. This is important because they all have slightly different flavors. If you don’t like sardines caught in North American waters, you may prefer those originating around Norway. Sardines are generally salted and preserved, and what medium in which they are preserved makes a big difference in how they taste. The gold standard is generally considered to be olive oil, which is mild enough that it doesn’t add a significant flavor, and also adds to the healthy Omega-3 benefit of eating sardines. Water is considered an acceptable medium by many connoisseurs. 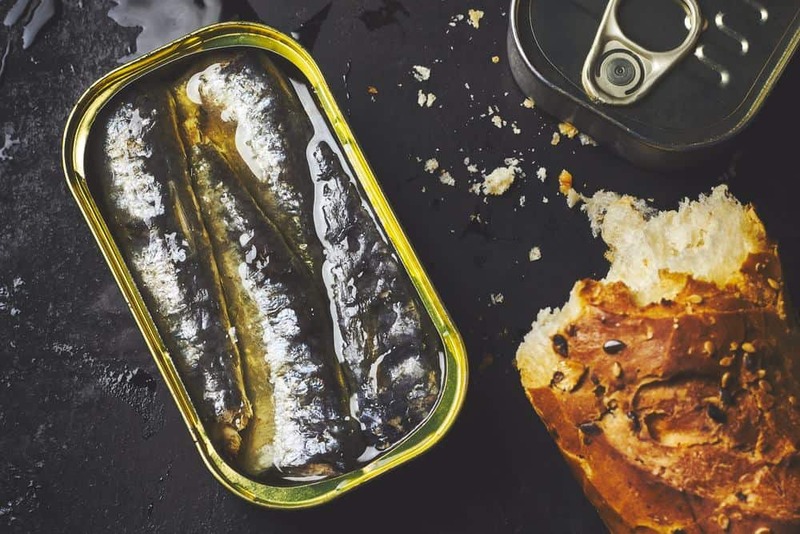 Hydrogenated oils, like vegetable oil, are considered the poorest possible medium for preserving sardines, as they contain inflammatory chemicals that counteract the benefits of Omega-3 consumption. In general, most sardine enthusiasts recommend checking the can to see what the ingredients are. The only ingredients should be fish, oil or water, and salt. Any other seasonings, bases, or ingredients are generally indications that the manufacturing company is covering up an inferior product. Enthusiasts particularly recommend staying away from sardines which are preserved in tomato or mustard bases. 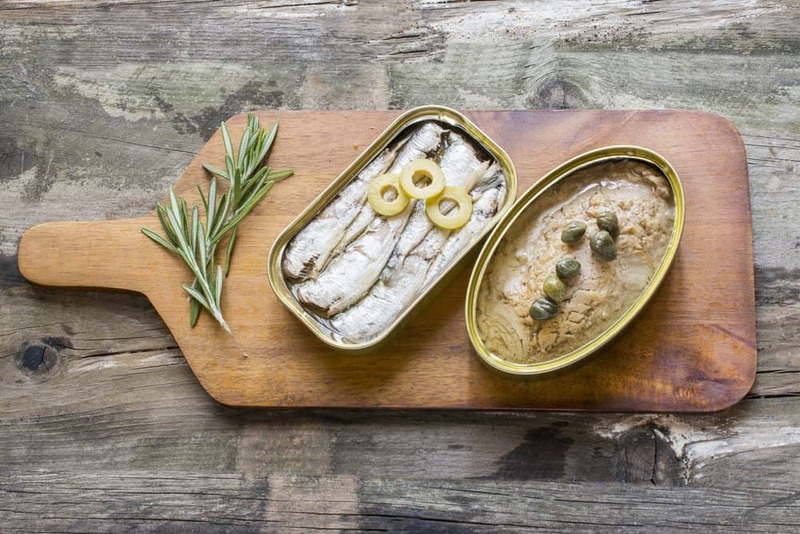 Because sardines are actually so many kinds of fish, and are caught in many locations around the world, and at different points in their life cycles, the size of the sardines in your can have the potential to vary greatly. Larger fish are more likely to have larger bones. While bones in sardines are a great source of calcium, some people find them off putting. How you intend to eat or prepare your sardines makes a big difference in which brands you will prefer. If you are going to fork them out of the tin and eat them right away, that requires a different sort of sardine than one you intend to chop up and substitute for tuna in tuna salad. Knowing what you want to do with your sardines will help you find the right brand for your preferred use. Bones and skin still in place. Occasionally, friends have reported getting cans where the sardines were not descaled. 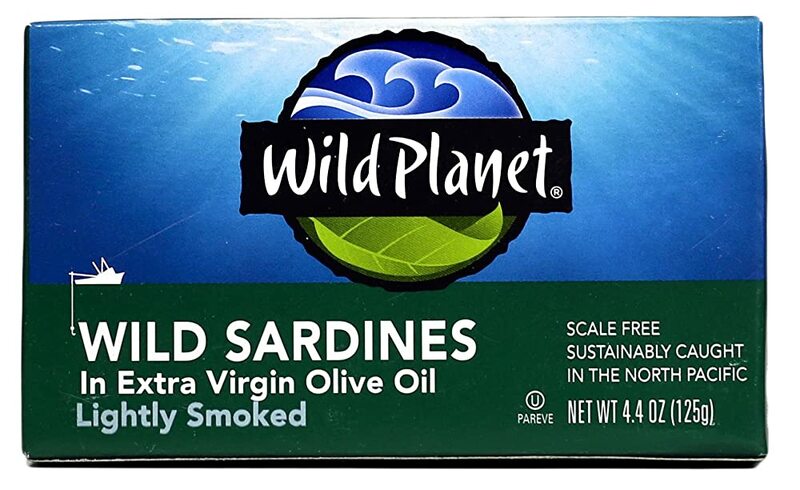 Wild Planet sardines are well loved, and for good reason. There are four varieties available: water packed, extra virgin olive oil packed, EVO packed with lemon, and marinara sauce. The most popular variety in my circles is the variety packed in plain extra virgin olive oil. The scales are cleaned off the fish, as well as the tails and heads, but they do contain bones and retain skin. These add to the health benefits of the fish, so many people enjoy consuming them in this way. Others feel that these are unpleasant, and do not want to eat sardines with these features. Sardines have scales on. Edible, but some people dislike them. 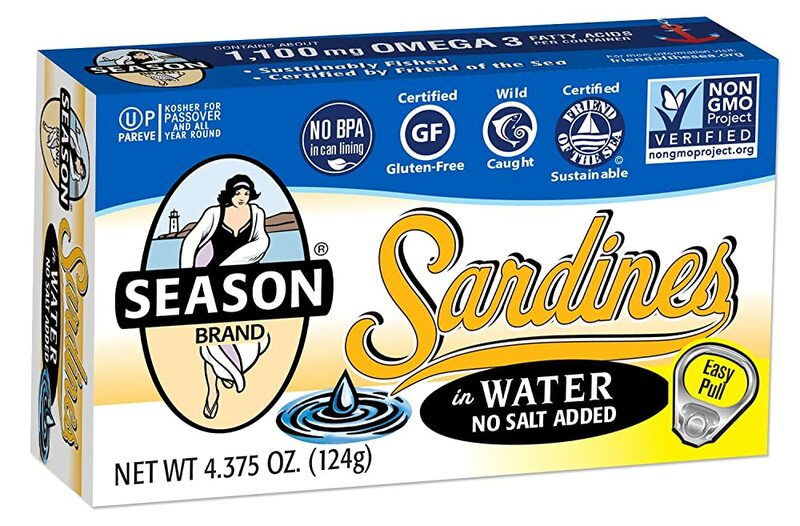 These sardines are a great choice for anyone who is trying to get less sodium in their diets, or who is looking to move from salted and oiled sardines to something that has a more pure flavor. That’s great if you want something that tastes precisely like fish, but if you’re like me and trying to boost your Omega-3s without necessarily tasting strong fish every day, these may not be ideal. They also come with scales, skin, and bones intact. Not a beginner’s sardine! These are great starter sardines. No bones or skin to give that weird, crunchy feeling that can have a distressing mouth feel until you get used to it. 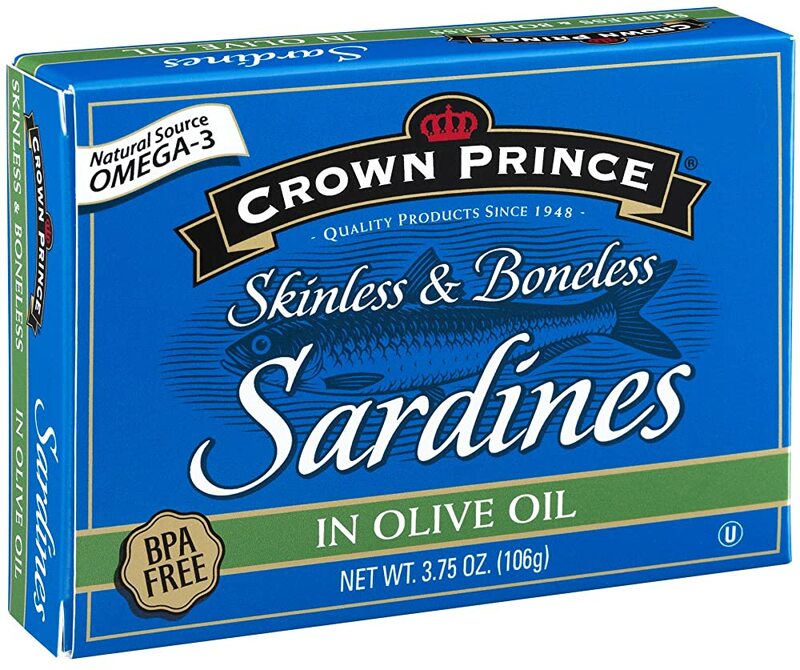 Since these sardines can be a little dry, I’m generally happiest with them when I add them to a cooked item, or use them to make “tuna” salad. They’re good just forked right out of the can, but once I got used to the bones and skin, other brands were much tastier to eat on their own. These sardines are very delicate and fall apart easily when forked, so eating these straight out of the can probably isn’t going to work for most people. They are delicious, however, provided that you like the taste of olive oil. For me, the tastes blend wonderfully, but some people are looking for the strong fish taste combined with salt and smoke. If that’s what you’re looking for, King Oscar is probably not the best brand for you. So Which Sardines Are The Very Best? 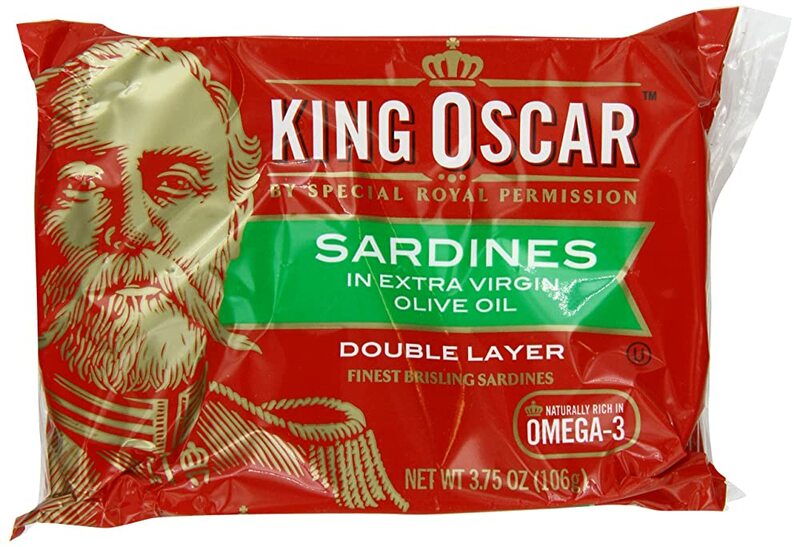 My personal favorites are definitely the King Oscar sardines. I tend to drain off some of the oil and then put the fish into a bowl, and eat them from there; sometimes I’ll mash them up a little and then eat them on toast. They’re great on pasta, in a salad, or mixed with some fresh oil and spices to make a sort of “tuna” salad. Versatile and light on fishy flavor, they’re my absolute favorites. What is the best canned sardine brand for your family? Great article with lots of good information. I’m a crown prince fan myself. Mostly because their convenient with the pull top and no bones. Ive ate a can or two almost everyday for the past three years. Eliminated processed foods and eat a lot more vegetables. Feel like a different person. Thanks for the article! Definitely a Brunswick Spring Water fan, you get about 3 or 4 fish in a can so they are not too small and mushy. Good flavour, super healthy as it’s just fish and water as ingredients. I like them after a work out, dice some cucumber into half cm cubes, red capsicum, onion, can of sardines, a little mayo of your choice (low fat or as a treat Japanese Kenko), fresh green chilli if you’re keen, and even some crushed crackers of the healthiest type you can get as a texture infusion. Super satisfying after work-out replenishment. Low fat, high protein, high calcium and about 2 – 3 times the recommended Omega 3 in one small 70gm serve of fish! Liked this article since I am a sardine eater from the old days. my preference is the Wild Planet in extra virgin olive oil. I like them straight out of the can with onions and crackers so the flavor should be robust to outshine the onion. I like eating these to give salmon and steelhead trout a break from my menu and still get the omega 3s (salmon). King Oscar Mediterranean Style is an awesome combination of flavors. Olives, Herbs of Provence, and garlic…YUM! Wild Planet filets are big and thick so it could easily pass for flaked tuna (sometimes they can be as dry as water packed canned tuna – not good). The King Oscar are too small and mushy, can’t stand up to the steaming process, but the jalapenos added a little after-burn to my salad which I really liked. I eat maybe three cans a week, always dumped on a salad for the protein and Omega-3. For my use I do like the flavors (although you can’t go wrong with plain old olive oil) because it is adding flavor to the salad and I use minimal dressing. For oil-packed I do drain them, sometimes even rinse for a second or two, to minimize the fat added to the salad. Give me a can of sardines packed in olive oil and hot sauce and I’m pretty happy.